Our FB page link above is a great place to get ideas and we have many more bracelets posted. We can do special requests, or we may already have some in stock. 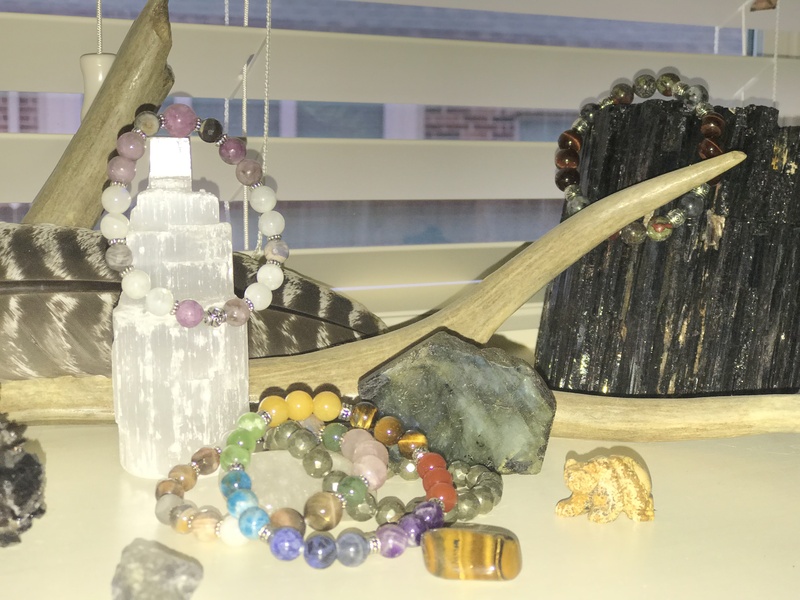 Please feel to ask about any bracelet that catches your eye or your energy!! Pricing below is for most of our general beads/bracelets and does not include premium bracelets, custom requests for more rare or more expensive beading, or larger orders (discount may given for larger orders), or specific special requests, this pricing will be provided at time of request. Here is a slide show sampling of some of our past and current bracelets to give you ideas.